We love this idea of Cara Carroll's Throwback Thursday....although we don't have a really long time to look back on since we just started blogging a bit ago! When we looked back through our old posts, we did find one that we have been able to reflect on and celebrate it as a great success in our classrooms! Rainbow Math has begun! In trying to figure out a way to increase addition fact fluency, we designed an incentive to move up in levels. Each kiddo gets a ring with +1 facts (in red) to begin. Once they master this level, they will add on +2 (in orange) and so on until they collect all the colors of the rainbow. If you are familiar with Rainbow Words, the set up is very similar in use and management. Our kiddos are super excited to begin and are already wanting to test up to the next level!! 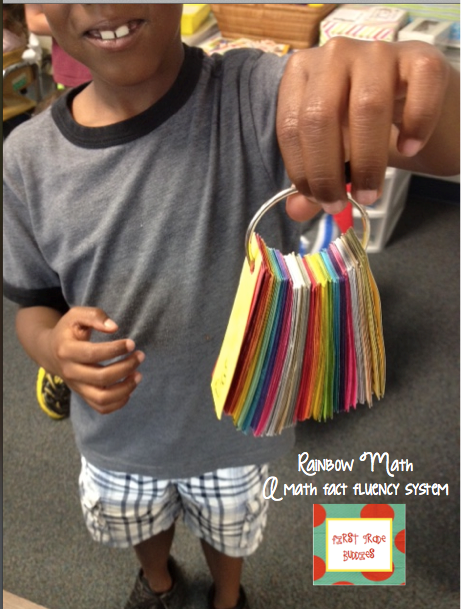 We have blogged about a math fact fluency system we created to use in our classroom called Rainbow Math before. We were so pleased this year with the results. So many of our kiddos made it all the way through addition facts, several made it through all of the addition and some of the subtraction...and a few even made it through all of addition and all of subtraction (that's A LOT of facts!!!). This proud kiddo is one of those students. 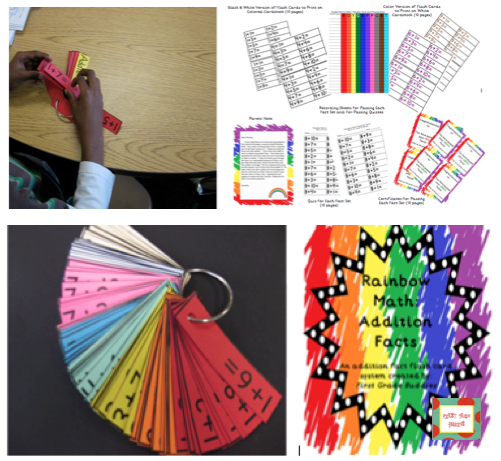 Now you can help celebrate our success with Rainbow Math Facts! 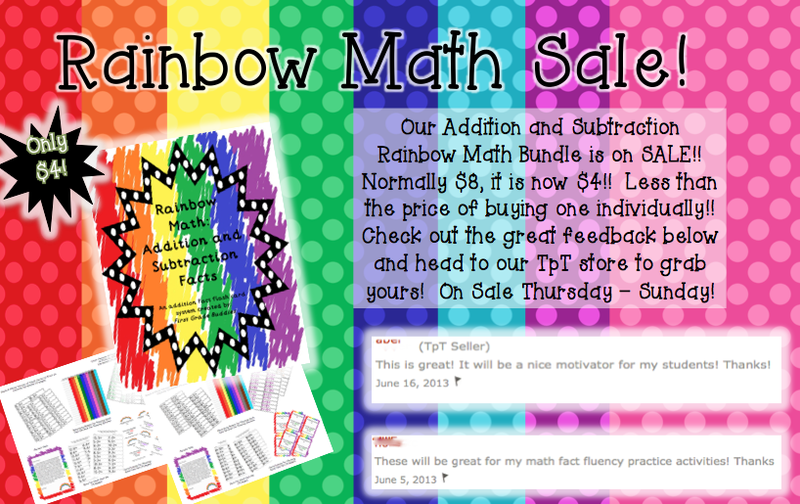 We are having our Addition and Subtraction Rainbow Math Fact Sets as a special deal starting today through the weekend!! You should give it a try! Let us know if you have questions! We hope you are enjoying your summer! I love this idea! I am always trying to find new ways to have my students practice their math facts. Thank you for sharing. You're welcome! We found this system to help with motivation and accountability a great deal! Have a nice weekend! What an AWESOME idea!!!! Love, love love! I would buy it in a HOT SECOND if our district wasn't going to be providing us with stuff for computational fluency this year (finally.) I'm adding it to my wishlist, though, in the event I'm not in love with what the provide. I love this idea!! Am I missing the link to order a kit? Such articles are really good quality. I recommend everyone to read the end of every article on this blog.